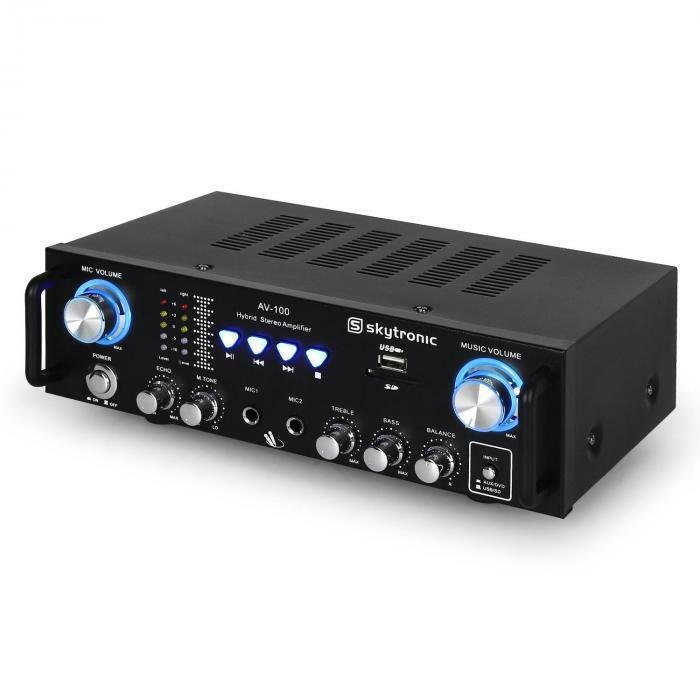 The Skytronic 103.208 AV-100 is an ultracompact hifi amplifier with a fundamental set of connections that is perfectly suitedfor PA uses and specializes in karaoke parties.A distinctive feature of the Skytronicamplifier is the two front-side microphone inputs, with which the deviceeagerly assists in the arrangement of speaking and singing events - such asclub and family festivities, karaoke parties or entertainment events. 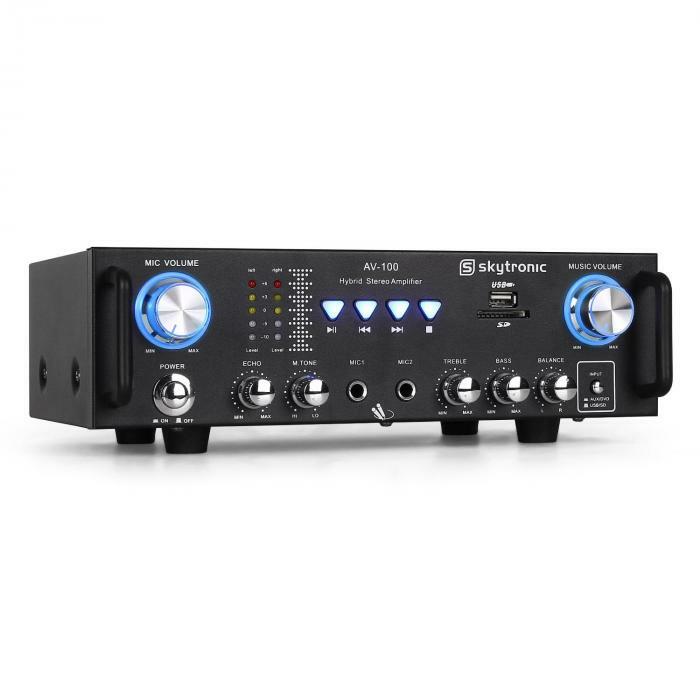 With its excellent sound quality andtarget-oriented features, it is the ideal amplifier for small to medium sized karaokeparties. 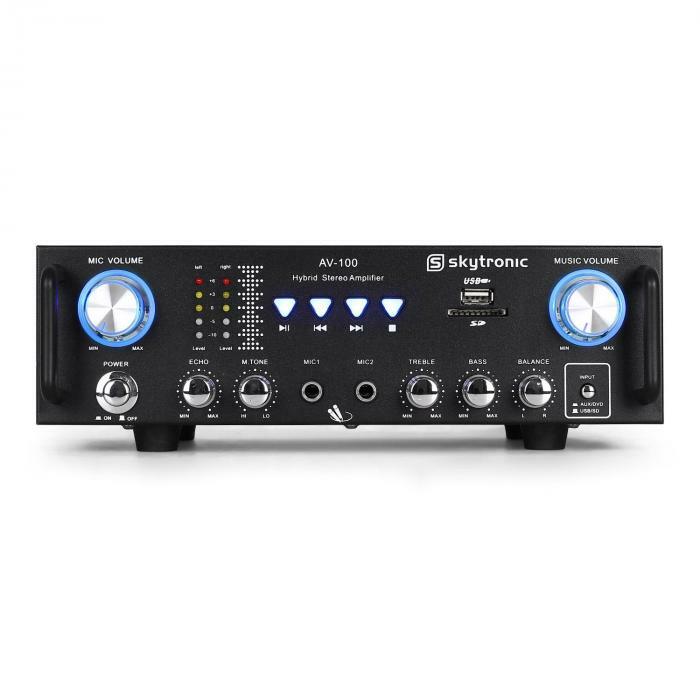 Naturally, the Skytronic AV-100 performs at a high level even without amateursigning, and is just as suitable for hifi and background music uses. 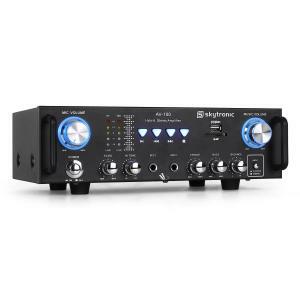 The amplifier easily plays back MP3 files via the USB and SDslots, which can be operated directly through the keys on the front of thedevice. The device seamlessly connects with CD players, computers and otherequipment through the stereo RCA input. 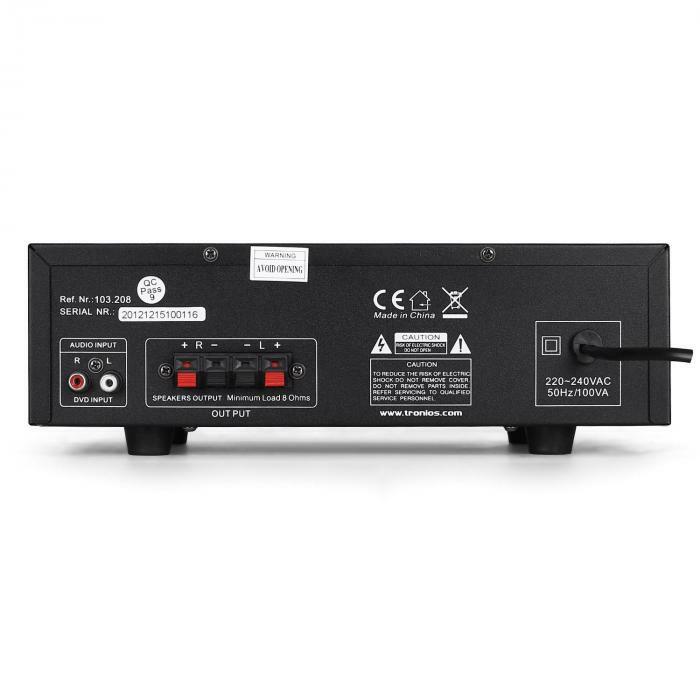 Performance wise, 2 x 50W RMS perfectly equip the amplifierfor supplying the required sound for small sized event and venues.